Welcome to our Web site, where you'll find a wealth of information designed to help you learn more about personal finance. Click around and you'll find a variety of financial tools. 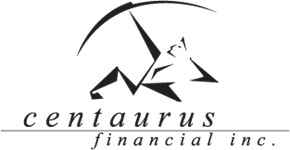 Securities and Advisory Services Offered Through Centaurus Financial, Inc., Member FINRA • SIPC, a Registered Investment Advisor. Supervisory Branch: 3902 State Street Ste. 101, Santa Barbara, CA 93105 805-569-1982. CFI Advisor Group and Centaurus Financial, Inc. are not affiliated.